Asthma often appears during childhood, but your first asthma attack can occur at any age. 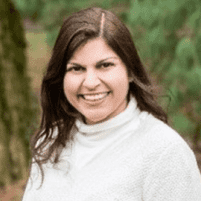 Anita N. Wasan, MD, at Allergy and Asthma Center works closely with children and adults, providing comprehensive testing and advanced treatments to alleviate your asthma symptoms and prevent future attacks. If you experience shortness of breath, wheezing, and coughing, call the office in McLean, Virginia, or book an appointment online. All three changes make it hard to breathe, and they trigger an asthma attack. Asthma is a chronic condition in which the airways remain partially inflamed, making it easy to suddenly develop another asthma flare-up or exacerbation. What symptoms develop due to asthma? You might find that the coughing is worse at night. Additionally, there’s a type of asthma, cough-variant asthma, which only causes one symptom: a dry, ongoing cough. Asthma episodes occur when something irritates your lungs. There are many different allergic and nonallergic asthma triggers, but most patients have a few specific triggers. If you have allergies, there’s a good chance that your allergens may also cause an asthma flare-up. Some of the most common allergy-related triggers are pollen, pet dander, molds, and dust mites. It’s estimated that 90% of patients with asthma develop exercise-induced bronchoconstriction. This condition occurs when your asthma is triggered by physical activity. Dr. Wasan performs a wide range of diagnostic tests, including pulmonary function testing and a bronchospasm evaluation. In some cases, she may recommend nitric oxide testing, which shows whether your airways are inflamed and helps to determine if you need steroids. If allergic asthma is suspected, Dr. Wasan performs in-office allergy testing to identify your allergens. She may recommend allergy shots because building immunity to the allergen also helps keep asthma under control. Treatment for asthma includes a fast-acting inhaler to open your airways during an acute flare-up, and long-term asthma control medications to reduce inflammation, control your asthma symptoms, and prevent future attacks. For severe cases of asthma, Dr. Wasan may prescribe injections with one of today's advanced biologic medications such as Xolair®, Nucala®, Dupixent®, and Fasenra®. At the first sign of asthma symptoms, call the Allergy and Asthma Center or book an appointment online.